The Program Flyer Templates can be modified to promote curriculum specific to your UC CalFresh County Program. Each flyer has a brief description of the available curricula for the specific target audience. These flyers can be tailored with the counties name and contact information to distribute to current or potential agencies. The Curriculum Flyer Templates have specific information and descriptions of the curriculum including but not limited to participant quotes, content, objectives and common core standards addressed for the youth curriculum, as well as evaluation and research information about the curriculum. These flyers can also be tailored with county specific contact information. UC CalFresh Educators: Please check with the State Office or your Program Advisor or Supervisor prior to using curriculum from the CA SNAP-Ed Approved list that is not listed on the UC CalFresh Approved list. In SNAP-Ed, use of evidence-based curricula helps us provide the most effective nutrition education interventions. Following the curricula as it is written ensures the quality of the interventions, however, sometimes a specific curriculum may not fit the needs of a given group of SNAP-Ed clients. The following tools are designed to help guide Local Implementing Agencies regarding acceptable levels of modifications. In addition there are tools to strengthen curriculum delivery. 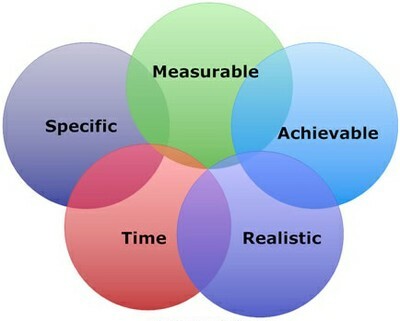 SMART is a mnemonic which stands for Specific Measurable Achievable Realistic Time. It is a way of developing specific goals for a project. Each of the UC CalFresh program's curricula have a specific set of SMART objectives. Ideally, participants taught with each curriculum will achieve the goals listed in that curriculum's SMART objective. The complete listing for all Adult/Family-Centered and Youth curricula is in the file below, with the appropriate Evaluation Tool is also listed.